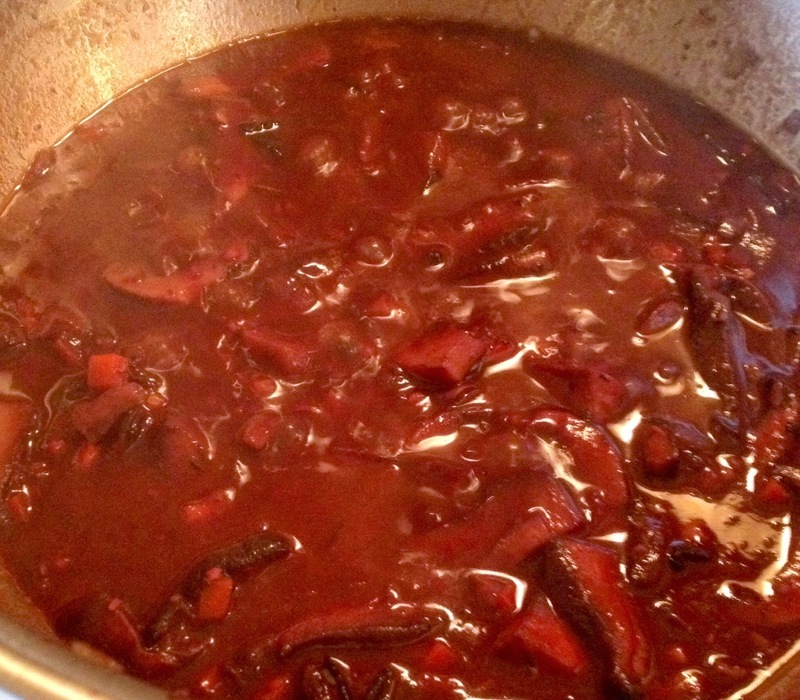 A few months back, I found a recipe I wanted to try, a meatless version of Julia Childs’s Boeuf Bourguignon. 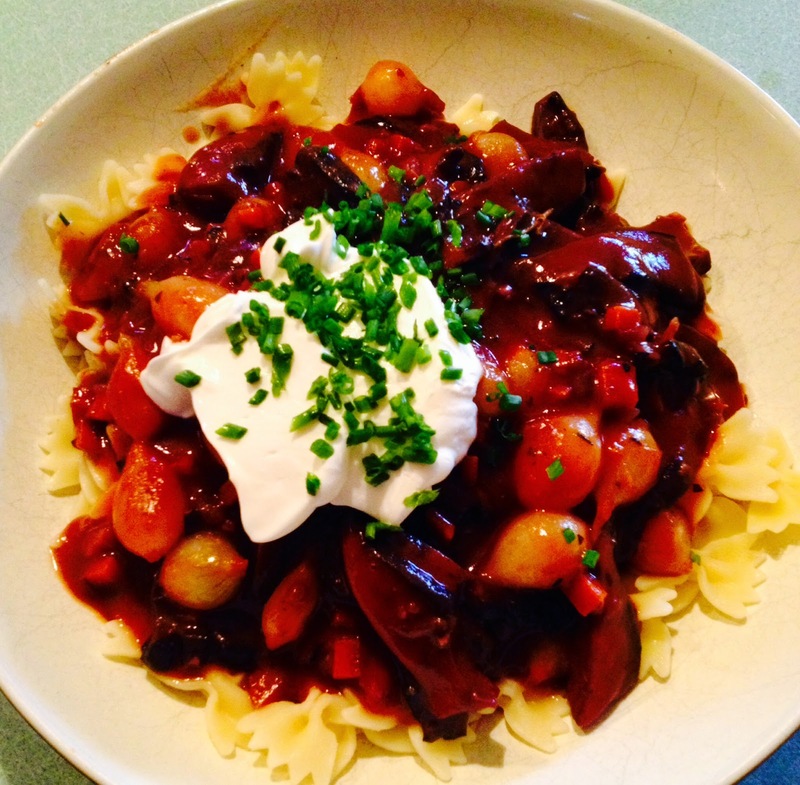 Mushroom Bourguignon. Now I run a risk in my family, and serving circle, because, while my partner (recently made my husband!! ), doesn't eat meat (with 4 legs), the other regular at our dinner table regularly chants MEAT! MEAT! MEAT! 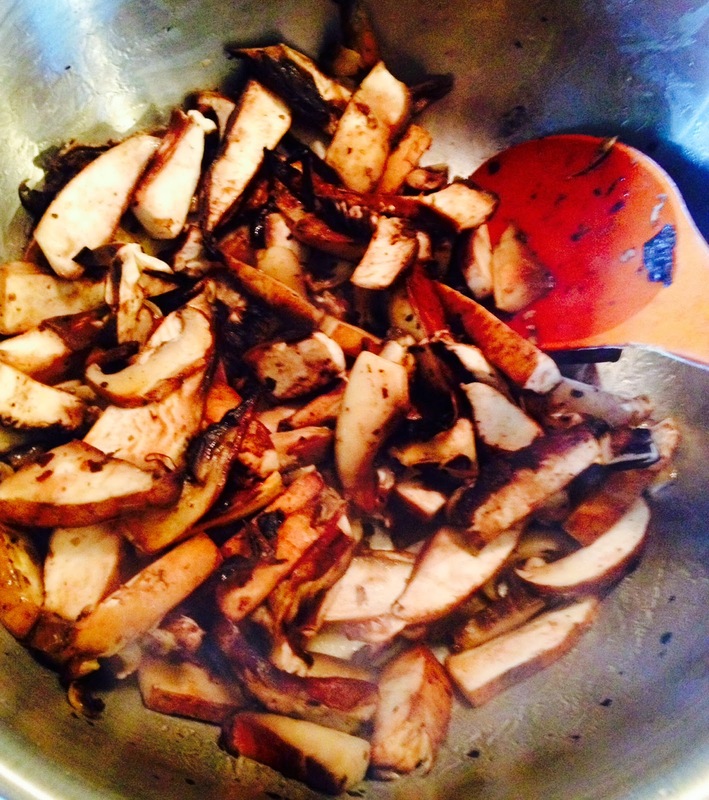 And myself being a recent convert to liking the delicious fungus, making a French classic with mushrooms if a bit risky, you see…. But I will have to say that it’s taken me about 4 months to muster up courage to make this one…..I’m not sure what I was waiting for? To me it was like a Mushroom Stroganoff. Delicious!!! 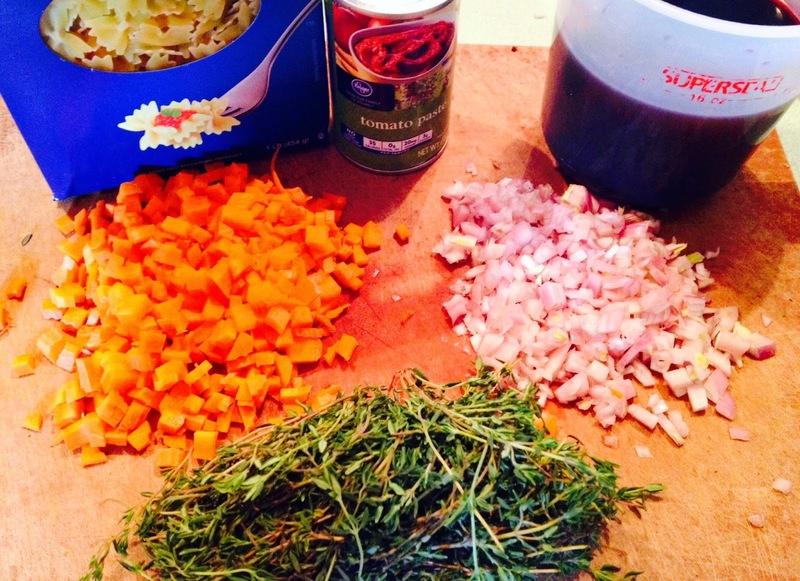 You will need to not wait to make this…..make it and ENJOY!